Structured Wiring and Home Management from SafeCom Security Solutions, Inc. It is more important than ever to have the right backbone installed in your home so all electronic devices talk the same laungauge and work together effortlessly. SafeCom is your structured wiring specialist offering the best value for your home wiring and management needs in North Georgia. Think of Structured Wiring as an all-inclusive connectivity solution for your home. It manages and distributes all your telephone, cable TV, broadband, ethernet, audio, video, intercom and security wiring through a central control point. As more and more devices are accessing the internet in homes every day (think ipads, smart phones, computers, xbox’s, etc,) the need to have your home wired properly has grown considerably. Let our professionals design and completely install your phone, internet, cable wiring and associated networks that work from day 1 and continue to do so. 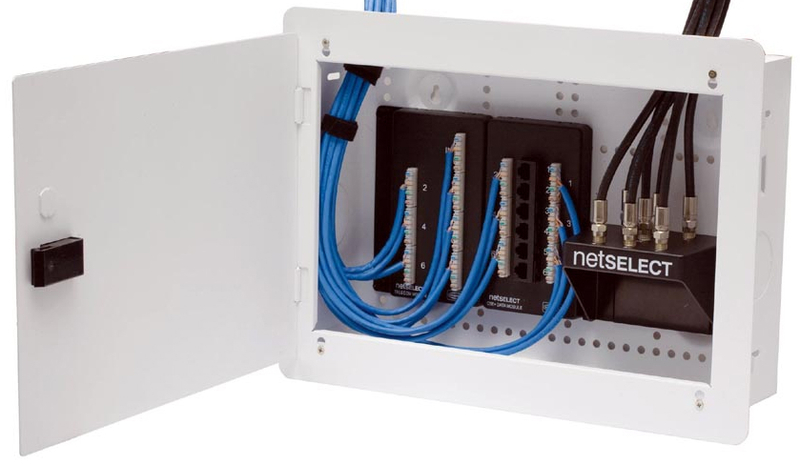 Even better, it is easy to manage your network with our professional structured wiring solutions for your home. SafeCom takes pride in every installation whether it’s a home security system or a SafeCom Home Technology system. Before SafeCom Security Solutions, Inc.
See the difference with SafeCom Security Solutions, Inc.
After SafeCom Security Solutions, Inc.